Maxing out the available storage on your MacBook can create a bigger hassle than you’d expect. And if you want external storage, that usually means using up a USB port and toting around an external drive pretty much everywhere you go. Instead, boost your storage capacity by another 256GB with the Nifty MiniDrive for MacBooks, available now for just $29.99 from TNW Deals. 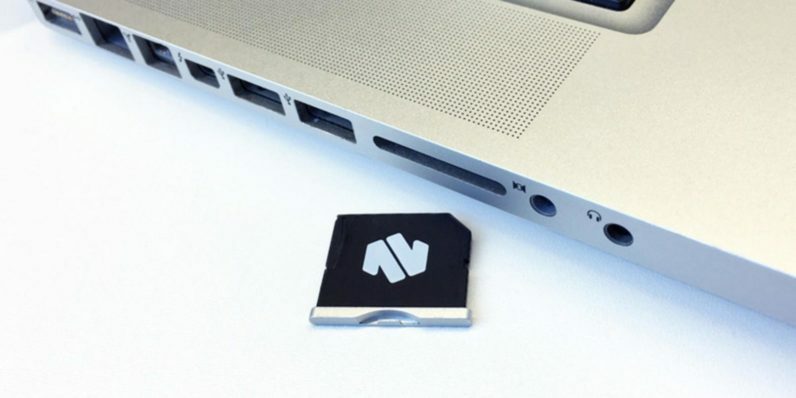 Just slide the MiniDrive into your MacBook’s SD card slot with a micro SD card from virtually any brand – and you’re set. You’ve got up to 256GB of extra space and it’s mostly invisible once you plug it in, so feel free to leave it there all the time. MiniDrive also integrates with Time Machine and can be set to store daily automatic backups of your MacBook’s most vital files. And no matter what type of MacBook you’re rocking – be it a Pro, Retina’s 13 or 15-inch varieties or even an Air – MiniDrive’s got an version made just for your system. Handle your external storage needs seamlessly with the Nifty MiniDrive for MacBooks, now only $29.99 while this deal lasts.